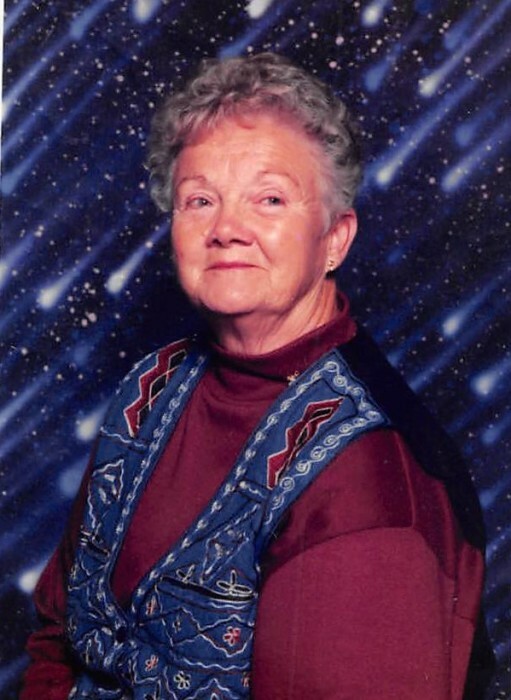 Vera L. (Johnson) Baker, age 90, of Wellsboro, passed away peacefully on Monday, March 25, 2019, at the Carleton Nursing Home in Wellsboro. She was married to the late Hyla H. Baker, who preceded her in death in 1989. She was born on July 24, 1928, in Monroeton, PA, the daughter of the late Hulbert and Eva (Monahon) Johnson. Vera was employed as a clerk at Owlett’s General Store in Keeneyville, along with being a full-time homemaker for her family. She was a former member of the Keeneyville United Methodist Church, the Rebekah Lodge and the 50 Club, of Morris. One of her favorite hobbies was camping with family and friends as a member of both the Holiday Ramblers and Grand Canyon camping clubs. Vera especially enjoyed travelling, whether it was to fish at the Indian River inlet in Delaware, or one of her frequent bus trips with Benedict’s Bus Services. She was extremely skilled when it came to crafting quality items, specifically sewing. Most importantly, her greatest hobby was spending time with her children, grandchildren and great grandchildren. Vera will be dearly missed by family and friends for her unrelenting positivity and strong-minded personality. Left to cherish her memory are her daughters, Sandra Allen (Dale), of Wellsboro, Pamela DeSisti (Joseph), of Endicott, NY, and Rhonda Boyce (Ronald), of Cogan Station; grandchildren, Steve (Linda), Brian (Mary), Scott (Betty), Jonathan (WenWen), Joseph, Julie (Ryan), Rebecca (Mike) and Christopher; thirteen great grandchildren; five great-great grandchildren; several nieces and nephews; and many dear friends. In addition to her parents and beloved husband, Hyla, Vera was preceded in death by three brothers, two sisters and many nieces and nephews. In lieu of flowers, memorial donations may be made in Vera’s name to either the Wellsboro Food Pantry or Meals on Wheels, P.O. Box 547, Wellsboro, PA 16901. Family and friends are invited to pay their respects on Thursday, March 28, 2019, from 12 noon until 1 p.m., at Tussey-Mosher Funeral Home, Ltd., 139 Main Street, Wellsboro, PA 16901. Vera’s funeral service will immediately follow at 1:00 p.m., with Pastor Darwin “Tink” Cranmer officiating. Burial will take place in the Tioga County Memorial Gardens, Mansfield. To share your fondest memories of Vera, please visit www.tusseymosher.com.